Available in several stock sizes and hanging orientations on the pull-down menu below, custom sizes are also available upon request. Dimensions shown represent actual rear window opening. 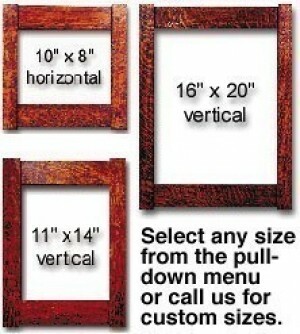 Comes in a variety of stain color options - make your selection in the additional pull-down menu below. Special tile frames are also available on our Tile Frames page.